Most of Alexander the Great's thirteen year reign as king of Macedon was spent in hard campaigning which conquered half the known world, during which he never besieged a city he did not take. Alexander's sieges were no less vital, and certainly more numerous, than his famous battles in securing his vast empire and yet there is no book concentrating purely on his many epic sieges and his mastery of siegecraft. Perhaps the most famous example is Tyre, which had previously successfully withstood a 13-year siege by the Babylonians and which used to be an island before Alexander got there. The artificial isthmus he built to reach it still connects it to the mainland. More obscure, but just as instructive of the conqueror's character, is his last siege at the city of the Mallians, where shamed his reluctant soldiers into action by storming the battlements with just three companions and was severely wounded for his efforts. 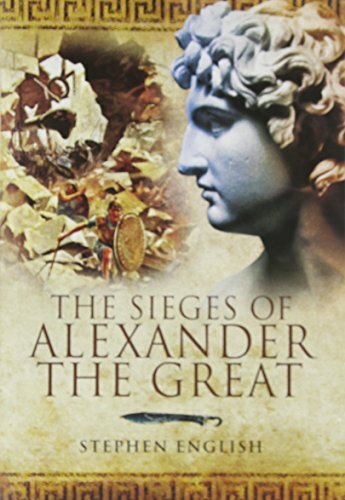 Stephen English narrates the sustained drama of each of Alexander's sieges, analyzing tactics and technical aspects, such as the innovative and astoundingly ambitious siege engines used. This volume will neatly compliment his first book, The Army of Alexander the Great, and his proposed third, The Field Campaigns of Alexander the Great, to form a very strong three-volume set. Dr. Stephen English gained a BA in Ancient History and an MA in Classics from Durham University while simultaneously studying for a BSc through the Open University. He went on to gain an MSc from Sunderland University while already working towards his PhD at Durham, under the supervision of renowned classicist P J Rhodes. His research at Durham focussed on the military career of Alexander the Great and forms the basis of this book, as it did of his first, The Army of Alexander the Great. He has also written on the subject for the magazine Ancient Warfare. Dr English lives in Durham with his partner, Elizabeth, also a writer.